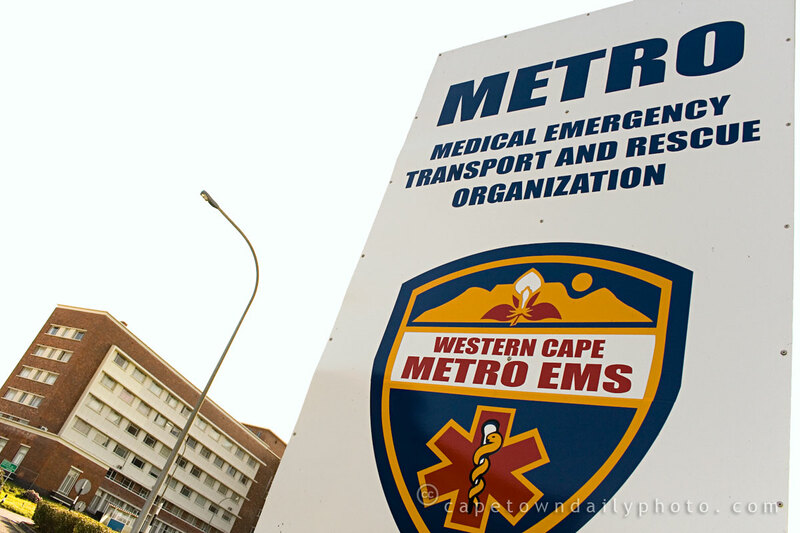 The Metro Emergency Medical Services is a government organisation with about 1400 staff, that provides emergency response to the public. The reality of the situation, as I understand it, is that the Metro EMS ambulance services are over-extended and unable to respond quickly enough to many time-critical medical emergencies and so, even though my dad's medical aid generally only covers the use of state ambulances, his house doctor requested a private ambulance to transfer him to the hospital. Sadly, some people have no option but to rely on state ambulances, and while they do successfully assist many, in times of crisis they're sometimes simply not able to respond in time. Apart from being short-staffed, all ambulances continuously have to deal with other drivers (unbelievably) doggedly standing their ground, refusing to let ambulances pass in any kind of hurry. I often see drivers not paying attention to emergency sirens, and I've honestly seen drivers on occasion just not make an effort to open a path for ambulances. Unbelievable? Believe it. Posted in General and tagged culture, sign on Saturday, 15 August, 2009 by Paul. Hi there! how are you? for past few years, i have had some trouble with sexual transmitted infection std, and i have been to different doctor, but no one seemes to help. Can you please! put me, intouch with someone that deals with on this field, a protocologist for a check up. Thank you! and good day to you! Hi there. My name is Remi Twynam and I am so interested in becoming a paramedic. I realise that I have to go through all the necessary courses but am more than willing and able to do so. Could you please let me know where to go to get started? I am looking for the paramedic that help my 11 year old daughter yesterday afternoon after we.ve been in an accident on Vanguard Drive and Turfhall Road. He lives in Cravenby Estate. This guy was on his way to work about ten minutes after we were hit by a drunken driver who jumped the robot. I phoned 10111 and stated that my kids got hurt, but no one came out to help us. This kind gentlemen phoned in to his work to get as paramedics to get my daughter to a hospital as she injured her spine. He kept her for more then an Hour and did all the vital checks. I would like to get his phone number please to personally thank this ANGEL. THANK YOU ALSO TO THE YOUNG LADY PARAMEDIC AND GENTLEMEN THAT CAME OUT ON HIS CALL. YOU GUYS WERE AMAZING. Hi Lynette, I’m glad to hear your daughter made it to hospital, and I hope she’s going to make a speedy and complete recovery. These guys, paramedics and firefighters, do amazing work – and I think most often for them it’s more of a calling than just a regular job. Did you perhaps get your angel’s name?